As a plumber it’s important to establish a rapport with customers to ensure repeat business and gain referrals. One way to do so is to make recommendations to customers as to which plumbing products they should be using to conserve energy, resulting in lower bills. A tankless hot water heater is an “on-demand” water heating system. The water is heated directly only when it’s needed without the use of a storage tank which means there is no more waiting around for the water to heat up as it comes out of the faucet. A tankless hot water heater requires up to 30% less energy consumption and has a longer life expectancy than a tank, or traditional, water heater. Solar hot water heaters use the sun’s thermal energy to heat water which is cost-effective since the energy source (the sun) is free. These heaters can be used in any climate. 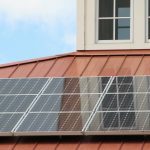 There are two types of solar hot water heaters, active and passive, and a plumber can help a customer determine which would be best for their home. 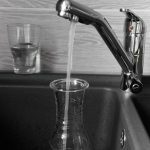 Homeowners need to be vigilant about the quality of the drinking water that is coming into their house. Cities are responsible for providing water quality reports, however water quality can also be altered once it enters a home. It’s smart to test water quality on a regular basis. There are plenty of relatively low-cost testers that can be purchased at hardware stores. Depending on the results, a plumber can help a homeowner decide whether any water treatment or plumbing work should be done to improve water quality. Most people don’t really need all of the hot water that’s flowing through the shower head in order to have a comfortable, productive shower. Water flow restrictors can reduce the water flow in a shower head to 2.5 gallons per minute, saving money on water and energy bills. A plumber can help a customer install the device on their showerheads. There are a wide variety of water filters on the market today, ranging from simple to complex. The best water filter to use depends on the quality of the water in the home. For simple water filtration needs, a pitcher system, like Brita, or a faucet filtration system is adequate. For more advanced water filtration needs, recommendations might include a reverse osmosis filtration system or a water softener. A high-efficiency, water saving toilet uses significantly less water per flush than a regular toilet, especially one that is more than 20 years old. Since not every flush requires the same amount of water, dual flush valves are also beneficial. It has one button for liquid waste that dispenses less water and one button for solid waste that dispenses more water. A hot water recirculation pump conserves water by recirculating cold water through the system instead of sending it down the drain. Users of hot water recirculation pumps no longer waste water while waiting for hot water to get to the faucet or shower. “On Demand” recirculation pumps have a remote switch that activates the system right before it’s needed. Since consumers are always looking for ways to reduce their utility bills, it’s worthwhile to mention these options to customers. They may need your help determining which option to go with and when it comes time for installation which means that you’ve not only helped them reduce their bills but also generated some business. It’s a win-win!